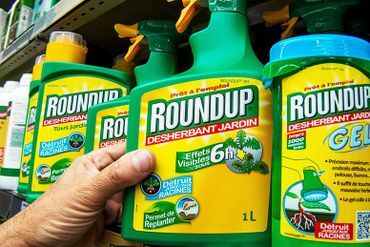 The move follows the World Health OrganizationâEUR(TM)s finding that MonsantoâEUR(TM)s Roundup is a probable carcinogen. Good. I hope more places will follow. People for many years understood how to protect their gardens with natural methods. We need to go back to that. Bravo, Segolene. Everyone knows Roundup is bad, bad, bad. Yet it's still on sale and fools still buy it. Groan. I agree. The warning bell over Roundup has been sounding for some time. I think that is a little unfair, Sam. Roundup is widely used in commercial farming. Few if any of us here are eating food that hasn't come into contact with Roundup.